Hurt in a car accident? Complete your free case review today to see if you may qualify for a cash settlement. Once you submit your case review form, you’ll see instantly if you may qualify for compensation. If you do, we’ll match you with a personal injury lawyer for a FREE, no-obligation consultation. This consultation is completely confidential, and choosing whether to file a claim or involve that same lawyer is completely up to you. Speak to a lawyer with no obligation. It's simple: You pay nothing if you don’t win. Insurance won’t cover all your expenses. 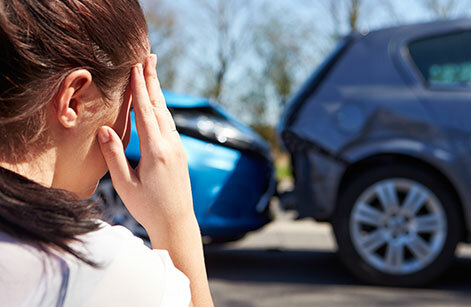 If you got hurt in a car wreck, you may feel overwhelmed. How will you get around until your car’s fixed? Who’s going to pay for the damage? What about your lost income from missing work and medical bills that are now due? We can connect you with a lawyer who can answer all your questions for free. The law limits how much time you have to file a claim and collect damages for your car accident. This law, the Statute of Limitations, gives a different time limit in every state. No matter how bad your injuries are or the money you’ve lost, you cannot collect if you miss this deadline. Your lawyer will know exactly how long you have to file your claim. Putting a claim together takes time, so talk to a lawyer near you as soon as possible. To have a case, you must prove that: 1. Legal duty existed, 2. The defendant(s) failed to exercise that legal duty, 3. The plaintiff(s) were injured directly or indirectly due to that breach of duty, and 4. There were damages (money lost) that can be recovered from the defendant. Liability is when someone is held legally responsible for another’s losses caused either by the first person’s actions or a failure to act. In an auto injury case, several people may have a certain degree of liability or responsibility for the car accident. Negligence means one person was careless in fulfilling a duty to someone else. For example: If someone runs a red light, hits your car and the collision injures you, that driver is negligent. Since that driver failed to obey traffic laws, you were injured and suffered damages as a result. Negligence is often involved in personal injury claims. What does the word "damages" mean? Damages is a legal term for all money that an injured person lost due to an accident. Those damages can include medical bills, prescriptions, any unpaid time off from work, time and costs involved with a lengthy recovery as well as the injured person’s pain and suffering. According to the National Highway and Traffic Safety Administration (NHTSA), insurance policies only cover about 52% of car accident costs. You may get insurance to pay your hospital bills, for example, but not rehabilitation specialist visits. Personal injury lawyers work to recover the maximum amount in damages from all responsible parties. Filing a claim is the only way to recover 100% of costs associated with things like emotional distress, lost wages and other non-medical expenses.